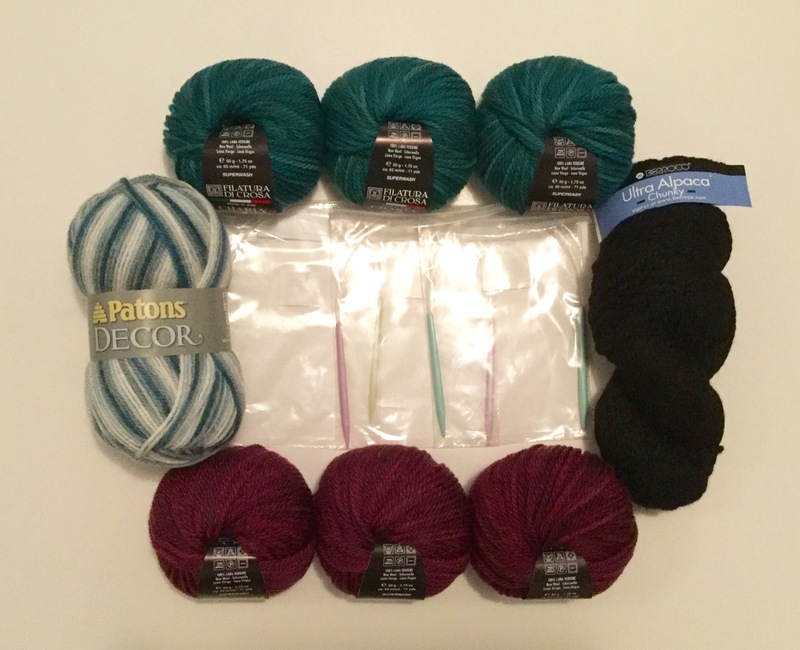 The last major shopping spree I went on for knitting supplies was way back in December during Blogmas. Since then, I have been working on several knitting projects and found myself in need of some more wool to add to my now dwindling collection. In the centre are Drops Design circular knitting needles in sizes 5.5mm, 6mm, and 6.5mm. They are all 40cm long and are absolutely adorable and coloured pastel pink, green, and blue, respectively. Plus they were 50% off so I couldn’t resist adding them to my needle collection. Besides, small circular needles can come in handy. The Patons Decor in Oceanside Variegated 100g was a bit of a treat to myself because I loved the blend of dark blue, light blue, and gray but then, lo and behold, a girl I work with is having a baby, and this will make the perfect baby sweater of blanket (not sure what to make out of it yet). The Filatura Di Crosa Charly Print Melange 50g balls were also on sale and with autumn just around the corner (yikes!!!) 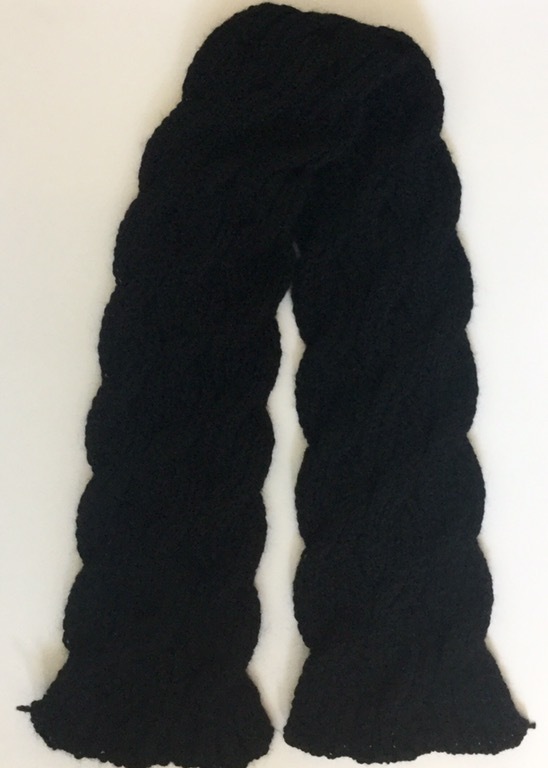 I wanted to infuse some rich dark colours into my wool selection. They are a little on the small size, but I am hoping to use three of them to make an infinity scarf or some mittens. 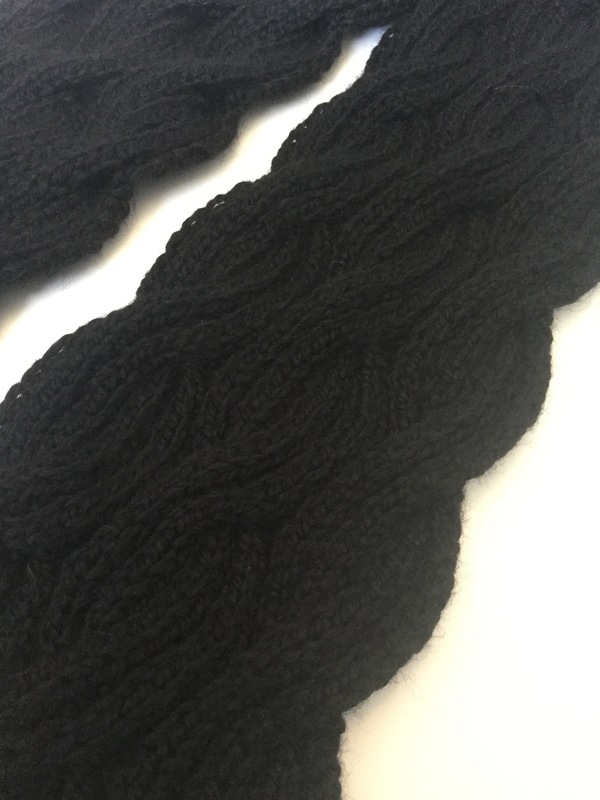 Just look at how cozy and soft this wool scarf looks!!! Finally, I purchased the Berroco Ultra Alpaca Chunky 100g in the colour 7245, which is one of my favourite wools to work with. I love how thick it is yet it is also easy to work with. I have made toques, mittens and, most recently, a scarf out of this wool and I am so happy with how my projects turned out. This wool works equally well with small and big needles, and the final product is a cozy and luscious garment. One day I would love to knit a sweater out of it but then I wouldn’t want to wear anything else during the winter because it would keep me all warm. What have you been knitting lately?? ?